South Australian Trucking Company is an Adelaide based and privately owned transport company. We cater for all your transport requirements including, S.A Taxi Trucks, S.A Couriers, S.A Furniture Removals, S.A Crane Trucks, S.A Tailgates and S.A Warehousing and Logistics. 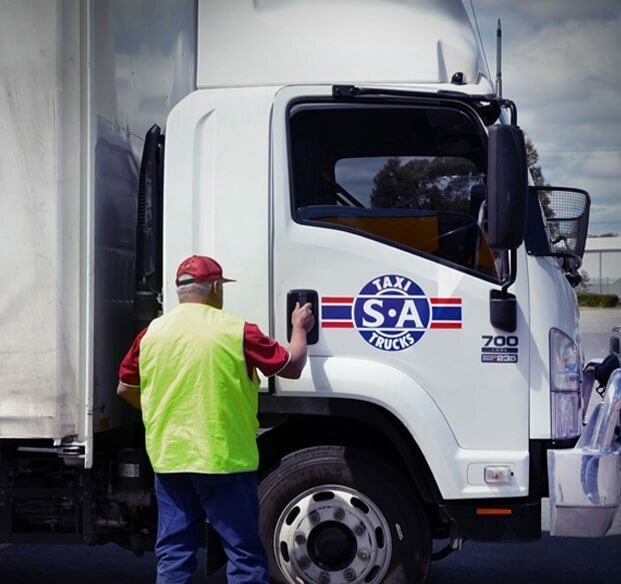 We at S.A Trucking Co. are committed to providing a large range of high quality transport, including furniture removals, and warehousing services to suit your needs at competitive prices. We offer a range of services including Taxi Trucks, Furniture Removals, Piano Removals, Tailgate Trucks, Crane Trucks and Courier services, delivering to the inner and outer Adelaide metropolitan areas. Our truck sizes range from 1 tonne to 10 tonnes and include flatbed trucks and tautliners. We also provide warehousing facilities for your convenience at our Glynde site. Copyright 2019 S.A. Trucking Company Pty Ltd - All Rights Reserved.